We have started a new tour called Fizz&Co. + Intro dive set. We pick you up at your hotel and take you to Fizz&Co. 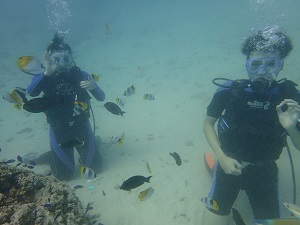 so you can enjoy an American lunch and then afterwards pick you up and take you diving!!! Fizz&Co. 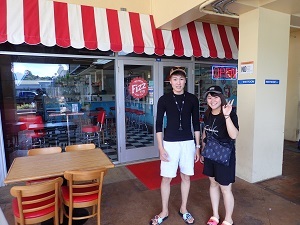 is located in Agana Shopping Center so after you finish your lunch, you can enjoy some window shopping or actual shopping while you wait to get picked up for diving. There is also Guam’s biggest supermarket inside so you can buy snacks and drinks for after dives!!! The dive site is 10 minutes away so there is no long trip you have to worry about!!! An American lunch + scuba diving in one day!! !